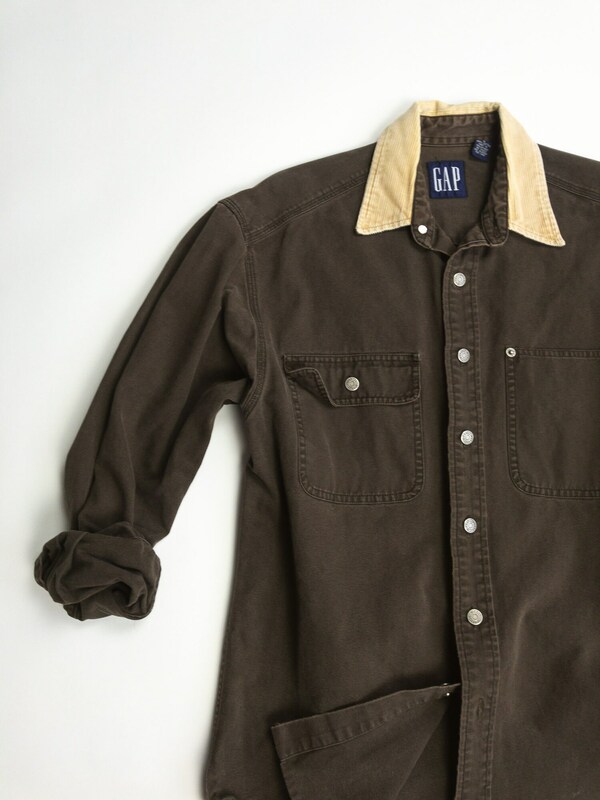 a rugged cotton canvas work shirt with corduroy collar by GAP. 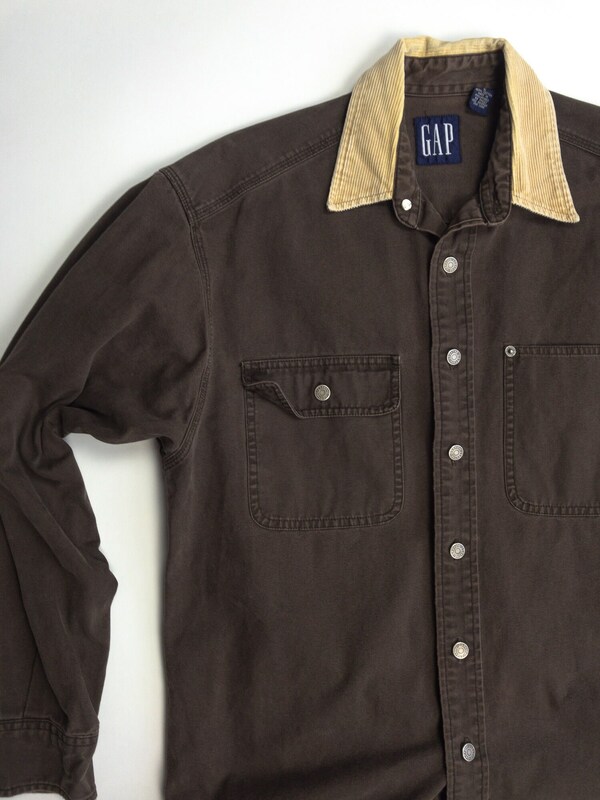 button front. 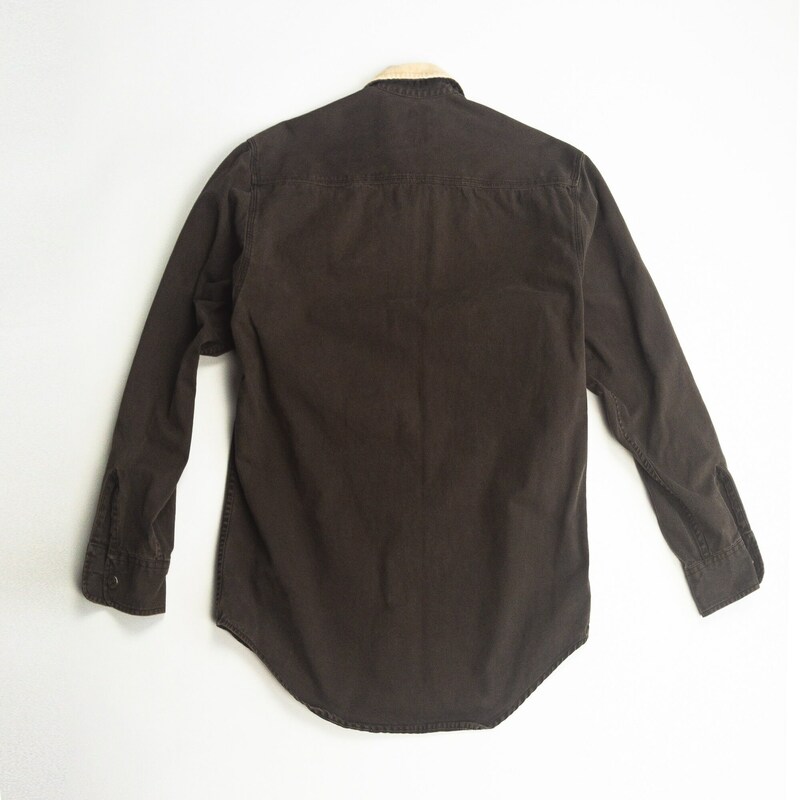 long sleeve with button cuffs. 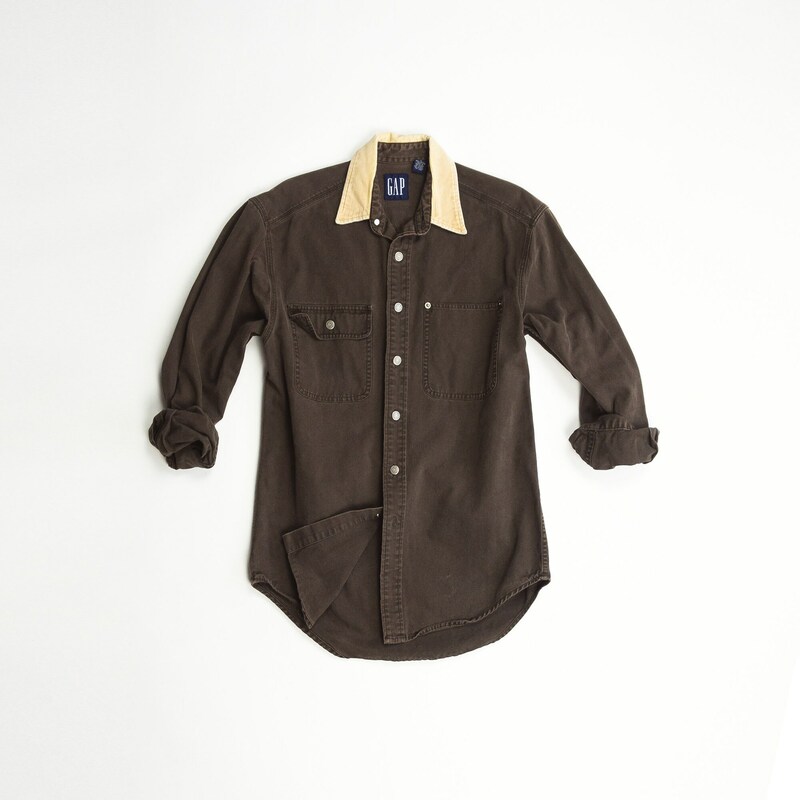 one riveted patch pocket and one button pocket at the chest. 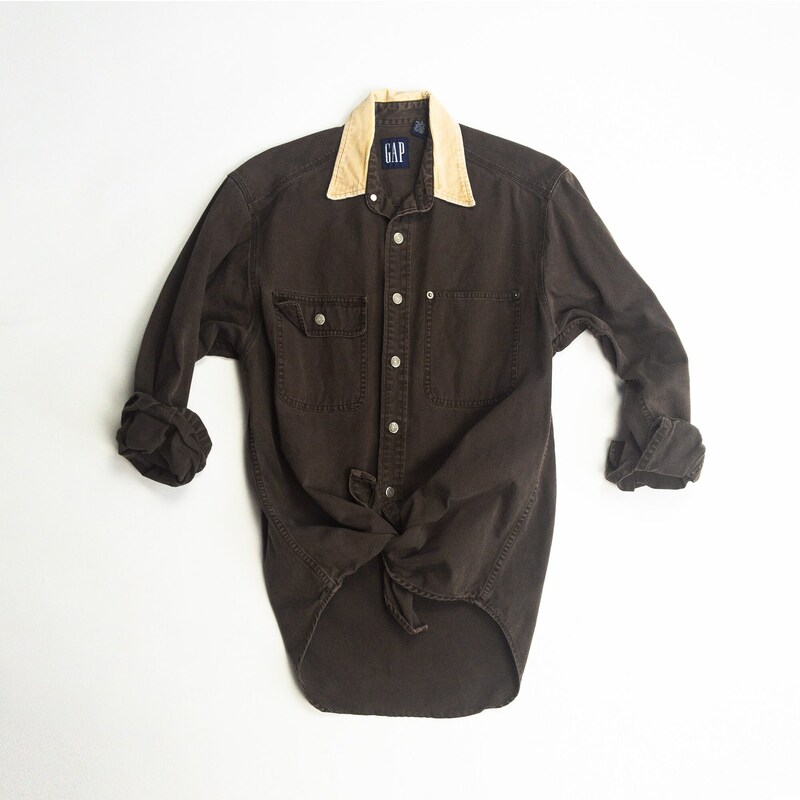 shirttail hemline. vintage fading. condition | very good! overall vintage fading with just a hint of fraying at the edges and seams. shoulder to shoulder : 18"